April 10, 2017, 9:54 a.m. The 11-year-old organization is now looking to move beyond philanthropic support. By Laura Hazard Owen @laurahazardowen April 10, 2017, 9:54 a.m. In 2015, following the earthquake in Nepal, Sanjay Gupta, CNN’s chief medical correspondent and a neurosurgeon, reported that he’d performed life-saving brain surgery on an 8-year-old girl named Salina Dahal. The story, with photos of Salina, was publicized worldwide. There was a problem: It wasn’t true. Salina never underwent surgery. Gupta had actually operated on a 14-year-old girl named Sandhya Chalise. The mix-up might have gone unnoticed, but a Nepali tipster got in touch with Global Press Journal, an outlet that has long covered the other side of the story simply because of the reporters it employs and the topics it covers. Global Press is based in San Francisco, but it trains women living in communities around the world, from the Democratic Republic of Congo to Haiti to Mongolia, to report local stories. Shilu Manandhar, Global Press’s senior reporter in Nepal, worked for weeks to debunk the story. Her work was then picked up by NPR. Cristi Hegranes founded Global Press in 2006, when she was just 25. She’d served as a foreign correspondent in Nepal, but she came to believe that there were problems with the foreign correspondent model: These reporters were almost always white men from Western countries, and they were trained to focus mostly on crisis. Her mission: to train women in developing countries worldwide as local reporters, who would stay in their communities long-term and increase the diversity of topics being covered. Since then, Global Press has trained more than 180 women (many of whom don’t speak English and had no journalism background before beginning training; a fair percentage have no formal education at all) in 42 bureaus in 26 countries — including the United States, where it launched news desks on three Native American reservations last year. Now Global Press is launching new initiatives to bring its reporting to more readers and to decrease its reliance on philanthropic support. The organization is offering U.S. newspapers free access to its reporting from Mexico, in the hopes of building an understanding of the country beyond immigration and the wall. It’s also launched a membership program. “These are local women who would never otherwise have this opportunity,” said Hegranes, who is now also serving as the social entrepreneur-in-residence at Stanford. Global Press advertises its training program through targeted Facebook advertisements, through local radio and TV ads, and via local schools and NGOs, and demand is high: In 2014 in the Democratic Republic of Congo, more than 900 women applied for four training spots; for the Zimbabwe launch in 2016, 180 women applied for 10 spots. (The number of trainees selected is tied to Global Press’s long-term budget for each bureau.) The applicants who are chosen go through a training program in their home country, covering topics like reporting methods, interview techniques, ethics, and fact-checking. Global Press Institute’s publication, Global Press Journal, employs 100 percent of the women upon their completion of the program (and, after 11 years, there’s an 80 percent retention rate). The women pitch stories based on what they’re seeing on the ground, and all of them are supported by editors, fact-checkers, copy editors, and translators. Now that Global Press Institute is more than a decade old, Hegranes is trying to shake up its model a bit. The institute has been sustained largely through philanthropic support, with the MacArthur Foundation as its largest funder; its budget is $2.1 million this year, with about 10 percent of that coming from earned revenue. Hegranes is looking to increase that percentage to 30 percent by 2020. “We want to be really sustainable,” she said. The effort began in 2015 when Global Press launched its News Service, which syndicates digital versions of its feature stories to media and education partners around the world. (Global Press also offers its coverage free to local sites and newspapers in the communities it covers.) Partners can purchase stories à la carte (photos are $75, a feature story is $250 to $350) or get access to everything via annual subscription (starting at $895 a year for a nonprofit, up to $5,500 a year for a large media outlet). In an attempt to call attention to the service and also do some good, Global Press is offering the content from its Mexico feed free to any news organization in the U.S., with a specific push in red states. There will also be a members-only Slack channel, where readers can talk with reporters and editors, and a monthly chat with a Global Press reporter. Global Press Eats offers a roundup of global food trends, including recipes, and “1 Hour In” is a travel guide to the developing communities that Global Press covers. POSTED April 10, 2017, 9:54 a.m.
Owen, Laura Hazard. "Global Press trains women in developing countries around the world to be local journalists." Nieman Journalism Lab. Nieman Foundation for Journalism at Harvard, 10 Apr. 2017. Web. 18 Apr. 2019. Owen, Laura Hazard. "Global Press trains women in developing countries around the world to be local journalists." Nieman Journalism Lab. Last modified April 10, 2017. 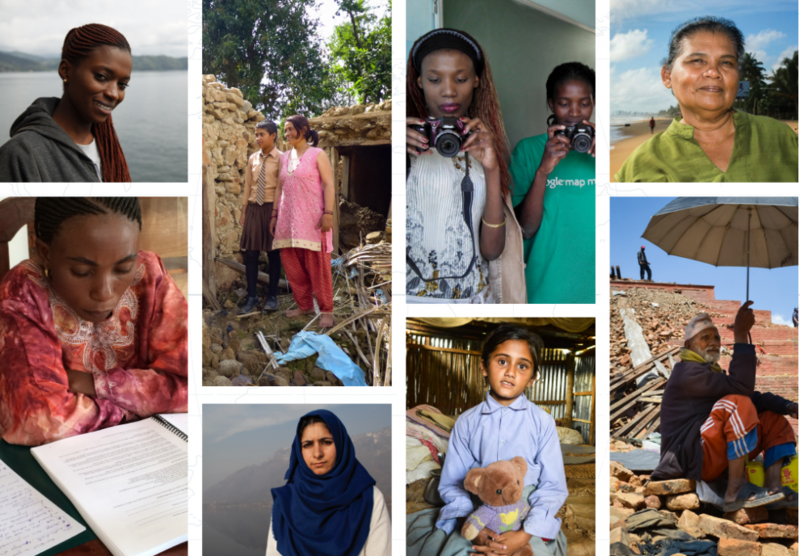 Accessed April 18, 2019. https://www.niemanlab.org/2017/04/global-press-trains-women-in-developing-countries-around-the-world-to-be-local-journalists/.